With electricity prices on the rise in the ACT, people in Canberra and across the Territory are turning to solar energy to slash their power bills – or to blow them away altogether. Self-consumption is where the power lies in Canberra solar installations. Via Australia’s Renewable Energy Target program (RET), the Federal Government subsidises the cost of a solar panel system based on the energy generated. Energy Matters incorporates the value of these solar credits by providing a discount on the solar power system you purchase. Note: Pending the results of the Renewable Energy Target review, the amount of support may decrease – so it may be wise to lock in the current level of subsidy now. You will be paid 6.0c – 7.5c per kilowatt hour for any excess solar energy you produce exported to the mains grid. Bear in mind that for any electricity you generate that you consume; you’ll be saving 18c per kilowatt hour. How many investments do you know of that can return an estimated average 10.9% internal rate of return? Solar panels in Canberra can! In the period June 2007 to June 2012, electricity bills increased by 45% in Canberra. Between July 2012 and the end of June 2013, prices jumped a further 17.74%. A 5kW system requires only 40 square meters of north facing roof space and can save you around $1,600 every year*! Energy Matters has a long and proud history of solar-powering Australia’s capital. Our thorough understanding of government policy and rebates ensures we only offer systems that best suit your needs under the current state legislations. Furthermore, the industry benchmark solar panel mounting system, SunLock, is designed by Energy Matters and manufactured right here in Australia to handle the toughest weather conditions the ACT can deliver. All other system components such as panels and inverters are sourced from the world’s most reputable suppliers. Call 133 SUN to discuss your options or get a quick solar quote. We’ve installed systems throughout Canberra and the ACT! 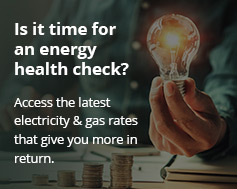 *For further detail on these calculations, please visit our online quote tool that provides a breakdown on the amount you could save in your specific situation.